At the Game Developers Conference next month Nvidia will sponsor a session that will describe how to port games from PC and video game consoles to Google Android and Tegra. Nvidia will also showcase its own latest Android debugging and analysis tools that help to design and port video games for Google Android. The event shows a clear interest of the graphics and multimedia chip designer in high-quality games for mobile platforms. Given Nvidia's leadership in graphics technologies on the PC, it is very natural for the company to transfer those technologies onto the market of handheld devices. 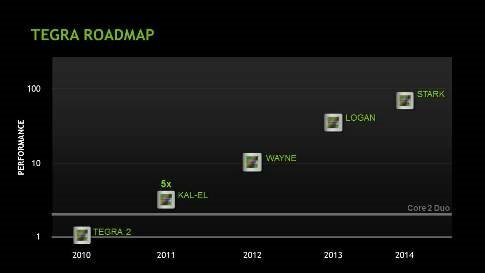 Unfortunately for Nvidia, since modern mobile graphics processors do not really offer high performance and therefore applications do not need speed provided by Tegra and other expensive graphics solutions.